These ultralight snowshoes are built on a solid foundation of MSR advanced 360° Traction™ frames and deliver a level of security that tubular frames simply can’t—especially on traverses. Dual-component PosiLock™ AT bindings offer MSR's most secure attachment, while rugged decking ensures long-lasting durability. In technical terrain, the snowshoes’ steel cross members and easily engaged Ergo™ Televators back you up with every step. 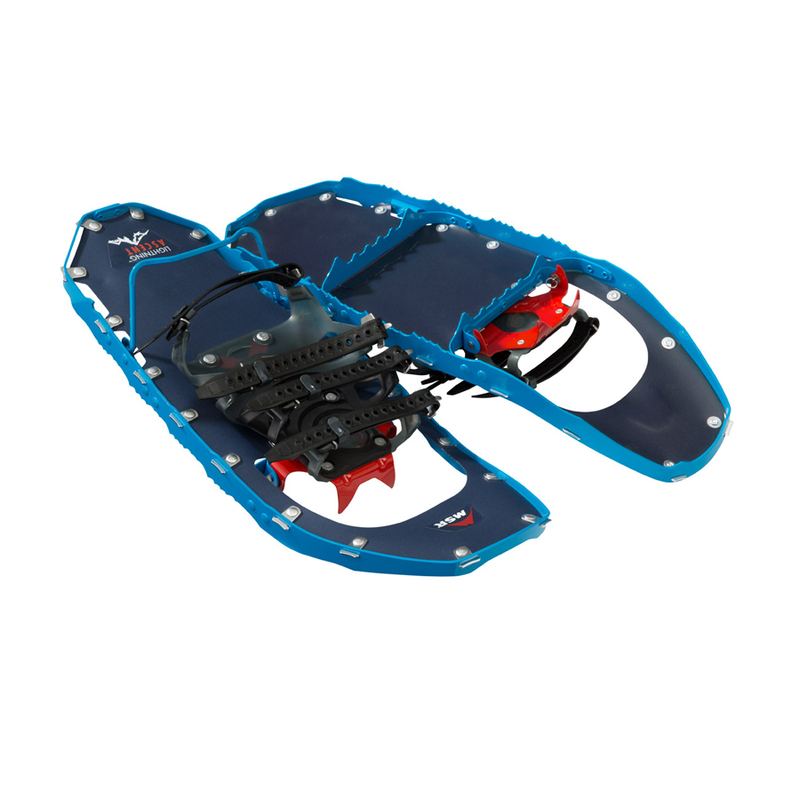 And like all MSR snowshoes, Lightning Ascents offer the all-condition adaptability of our Modular Flotation tails.